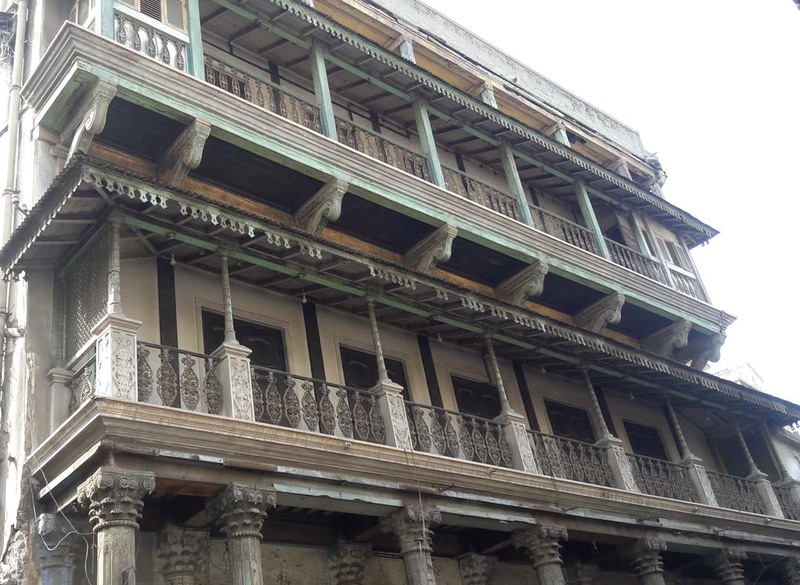 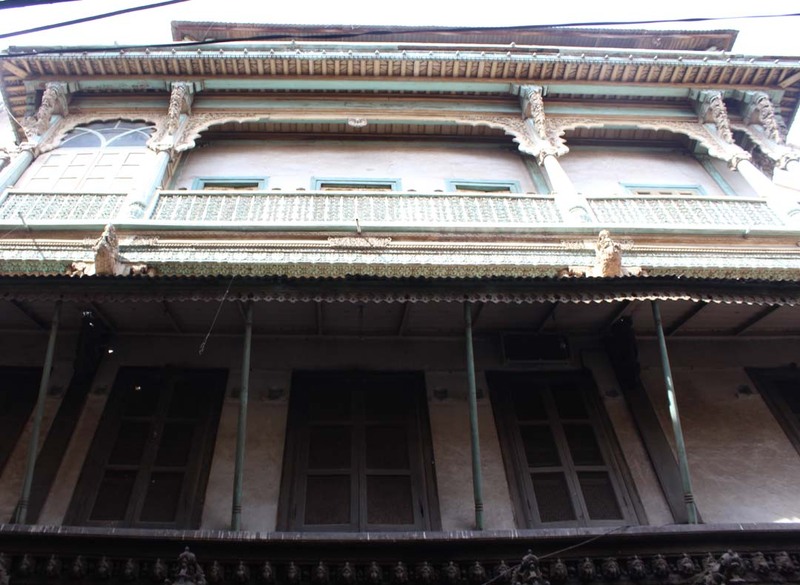 The 180 year old Harkunvar Shethani ni Haveli contains 60 rooms, most of which open on to interminable pillared balconies, supported by the longest carved wooden bracket in Ahmedabad. 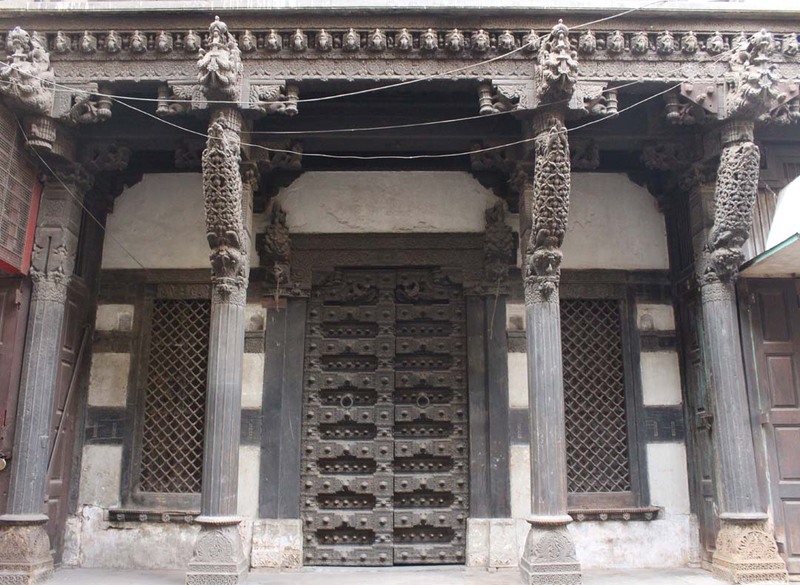 Stunning wood carvings found on Harkunwar Sethani ni Haveli in Old City Ahmedabad feature Indo-Chinese architectural elements. 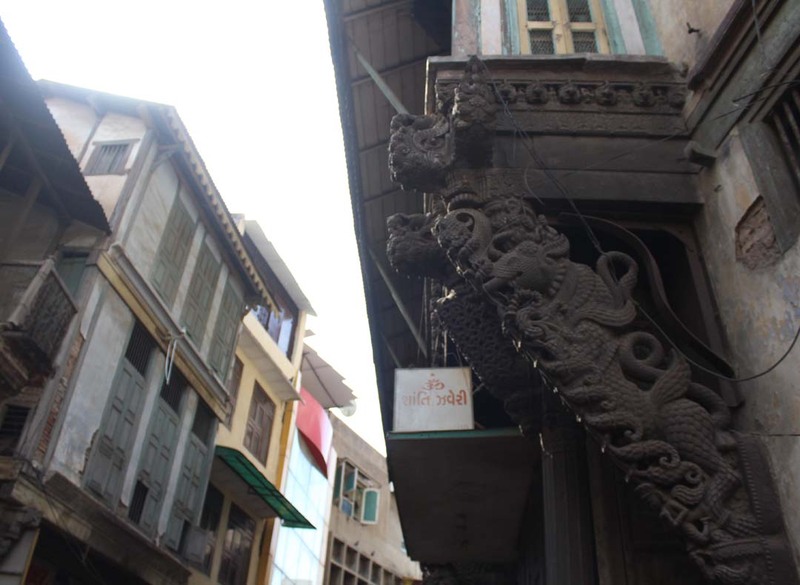 This one is the largest bracket in the Old City.